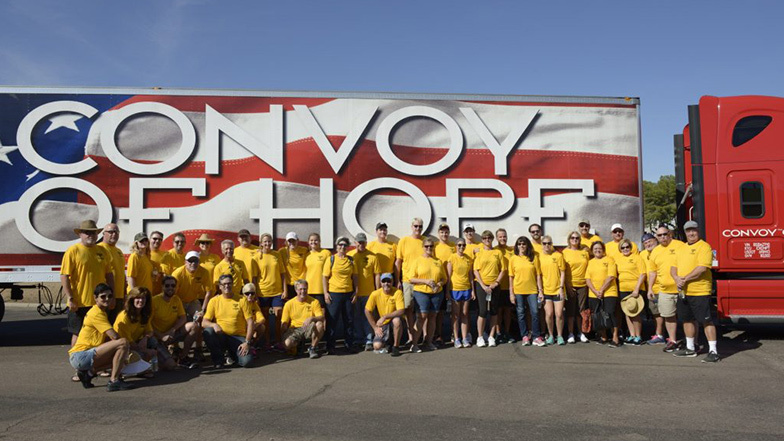 This year, prior to the commencement of MSCA 2017 Education Conference in Boca Raton, FL, MSCA and Convoy of Hope will partner once again to deliver a tractor trailer full of much needed supplies to the Palm Beach County Food Bank. MSCA Board members and other volunteers will help unload tens of thousands of pounds of goods, valued at over $40,000. MSCA volunteers will then assist with performing various needed tasks and activities at the food bank. At our MSCA 2017 Education Conference, spouses and other volunteers will also pack approximately 75,000 meals and over 15,000 pounds of rice or beans which will be shipped to Convoy of Hope’s Children’s Feeding Programs worldwide. We look forward to working again with a hardworking group of volunteers at our “Do Good – Feel Great” Packing Party on October 17, 2017.